Sona Oíche Shamhna! Or, in translation from the Irish, Happy Hallowe’en! 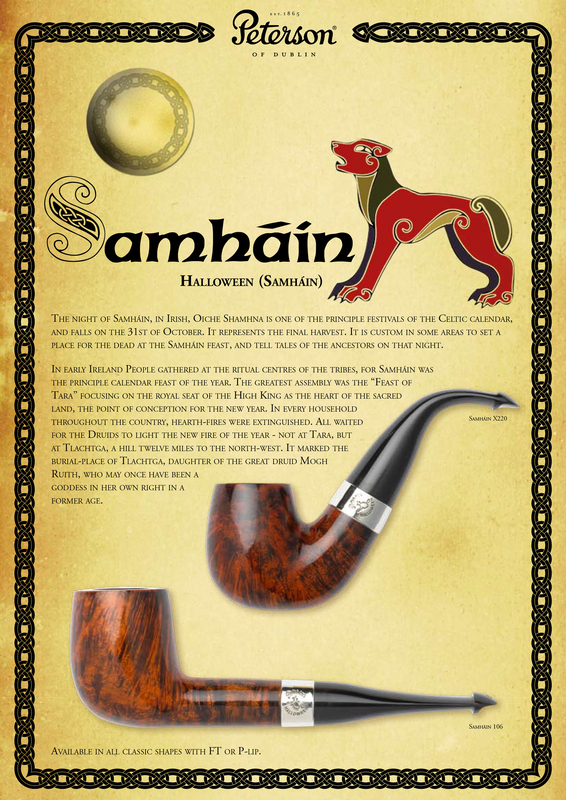 Most folks don’t know that All Hallow’s Eve has its origins in the ancient Irish festival of Samhain, although back 2009 Peterson tried to educate the masses with an annual Samhain commemorative pipe for a few years. Frankenpipes lie at the spectral end of pipe restoration, sometimes going to unearthly lengths to exhume something that will resemble a pipe. 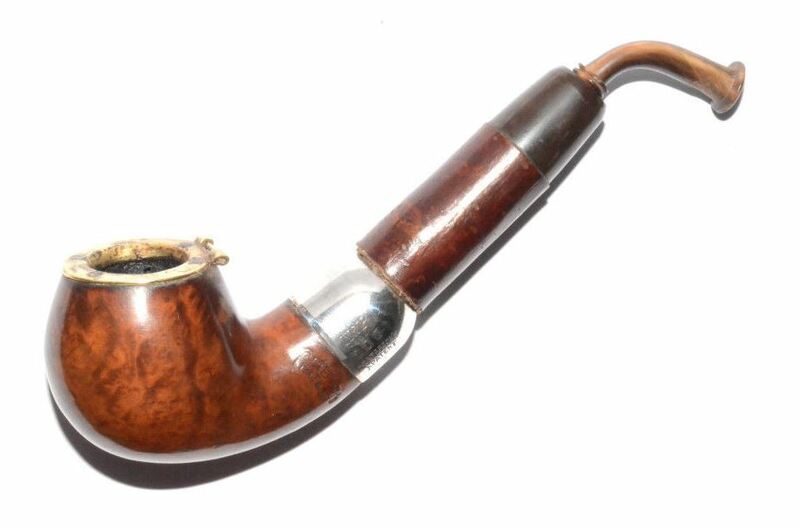 A “frankenpipe,” then, can be defined as “a pipe made from spare parts,” and has doubtless been around as long as there have been broken pipes, but I first ran across the grisly science in posts at two of my favorite restoration sites, one at Steve Laug’s Reborn Pipes and one at Charles Lemon’s Dad’s Pipes. Most frankenpipes are created by using one strand of the System’s engineering: the army-mount. 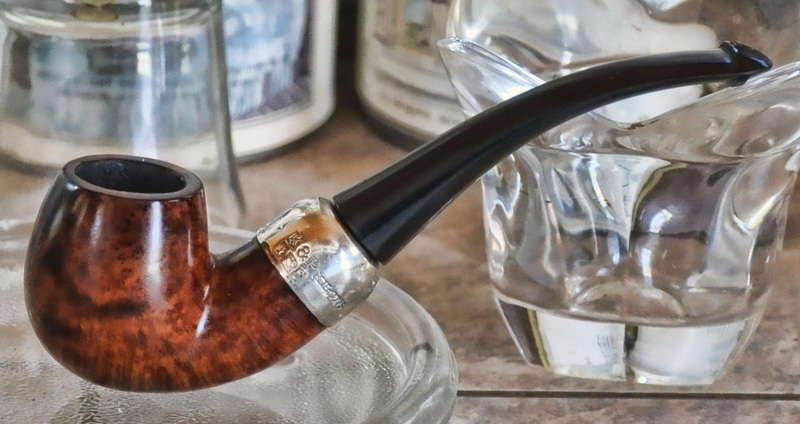 As soon as you have a pipe that readily disassembles (hot or cold) into (somewhat) interchangeable bowls and mouthpieces, you’ve created the opening for design aberrations. And that’s how Franken Petes are made. Sometimes they’re easy to spot, sometimes only a Pete Freek with the heightened powers gained by ingesting Tlachtga Celtic fire can spot them. The would-be mad scientist here didn’t like the stem’s bend. He apparently thought that since the pipe had a flat bottom, the bottom of the bowl ought to fully rest on the landing platform, which it didn’t. He simply heated the pipe stem and rebent it. Anyone with a knowledge of Peterson’s bending practices will at once recognize the incongruity of it. It’s a bit like a kid after-marketing his Honda to give it a little more juice. And if the kid’s happy and his vehicle street legal (me, in this case), that’s all that matters, right? With the 307 pictured above we get into basic Franken Pete bowl alterations. Someone new to the brand might not know the bowl was topped. Someone who studied Peterson shape charts like a maniac instead of devoting his life to more profitable ends, should. It’s actually a fun shape, a kind of ladle, resulting from a substantial “topping” of a scorched rim. 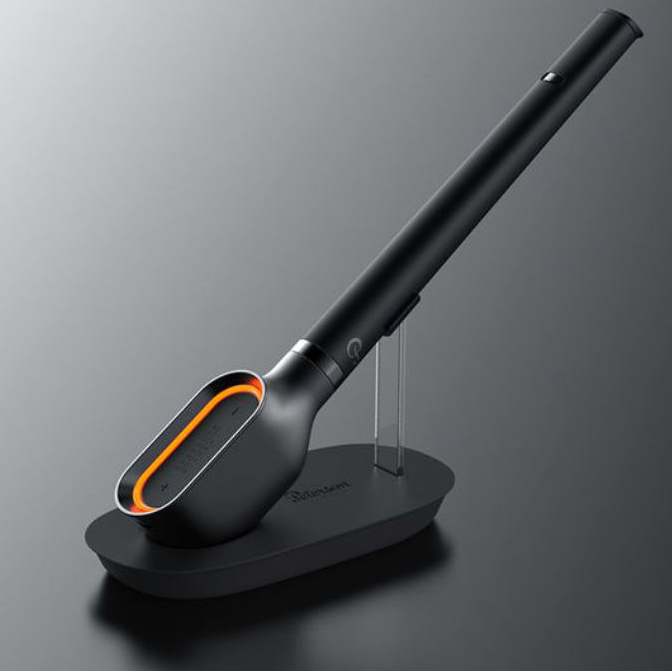 It gives a pleasing profile and leaves a deep enough chamber to still be serviceable. 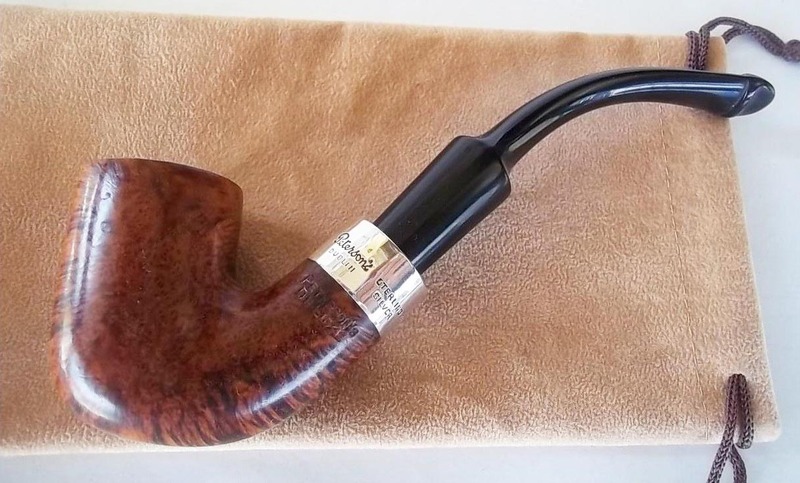 The problem comes when the buyer (it was me several years ago) is disappointed to find he hasn’t discovered a long-lost Peterson shape, but a “chop”! Caveat emptor, as the saying goes. 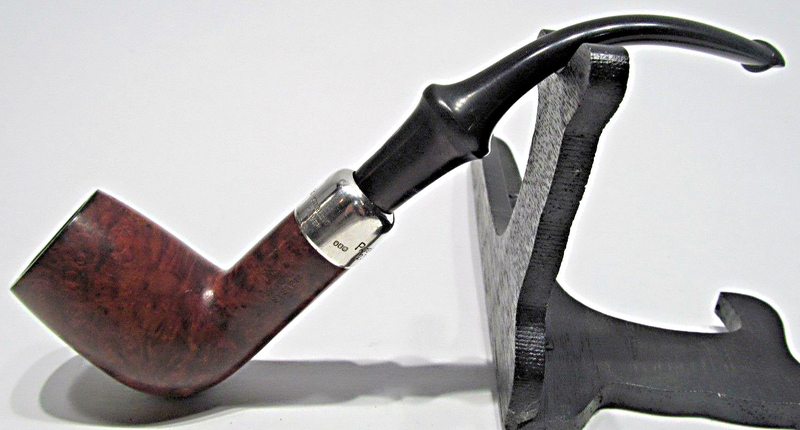 This pipe actually passed under the radar and was sold by a major online retailer. The mouthpiece, however, belongs to the dublin A4 shape from the collection. This one originally had a plump straight taper P-Lip. The giveaway, of course, is that the shoulder of the mouthpiece is jammed right next to the ferrule. You can also go to the other extreme, as in this wild example: a straight Patent System Commemorative with what looks like a 307-sized System mouthpiece. Apparently, the Commemorative mouthpiece wasn’t working out? Needed a little more droop? Who knows. It looks sinister. Vincent Price would have loved it, I think. 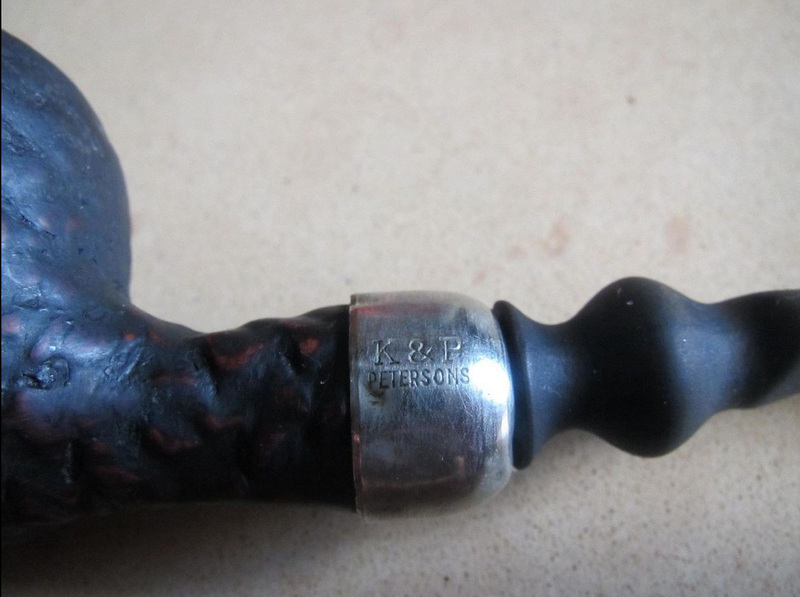 This is the pipe at its most beautiful. But the problem back then was that I hadn’t learned how to smoke an army-mount fishtail, puffing on it like it was a System instead of giving it short sips. I knew it was a sweet-smoking bowl, but the army mount made me pass over it again and again. Then I got what I thought was a brainy idea: make it into a System! A Lestrade System–how cool would that be? Is it a System? Yes, a Franken System. Did that cure the hot smoke? Yes. It smoked well as a System. But at a visual price. And one that I eventually found I wasn’t willing to pay. It’s not bad looking, but for me the love was gone. The monster, in effect, died on the operating table. It’s got a P-Lip mouthpiece, curiously unbent. The bowl is a bit over-reamed, but might smoke just fine. A fascinating piece, actually, and the reconstruction may have been quite old. I suspect the man who smoked this would have been worth knowing. We can only hope its mummy loved it. And what of the future, you say? What dystopias lie in store for the unsuspecting? 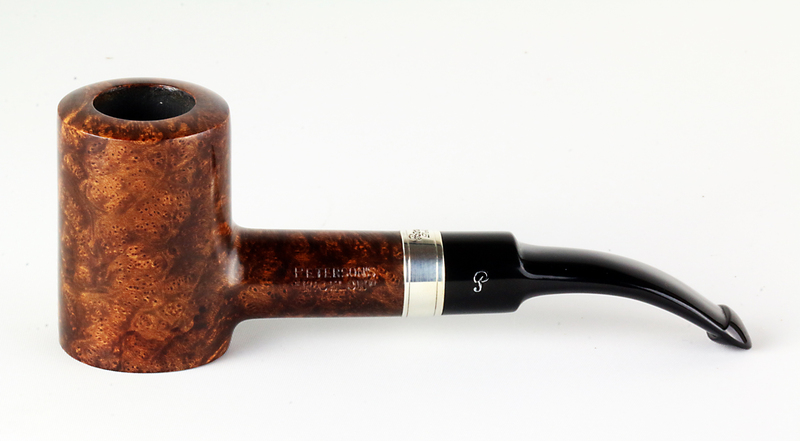 This thirteenth pipe was publicly acknowledged by designer “Jong Hyuk Bae” as a genuine Peterson commission back in 2016. When Tom Palmer, then CEO of the company, heard about it, he told the maker a “cease-and-desist” letter would be forthcoming. 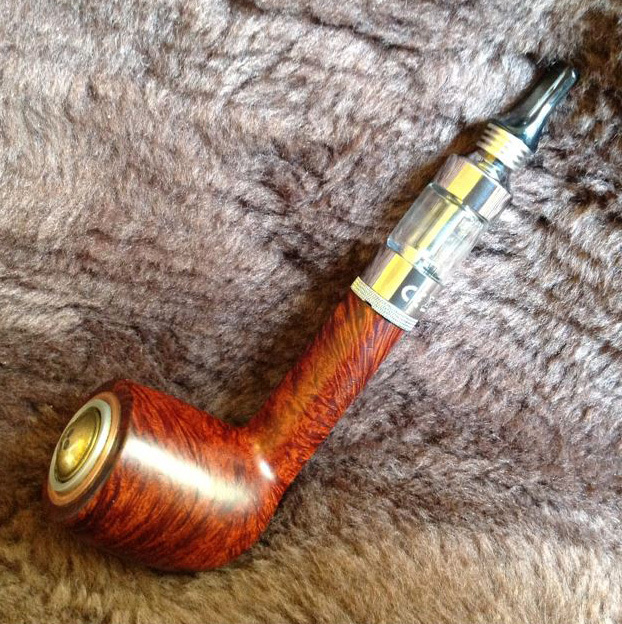 I’ve heard a few pipemen tentatively say some positive things about e-pipes. But an e-pipe, for those theologically so-inclined, has removed itself from the sacramental nature of reality. 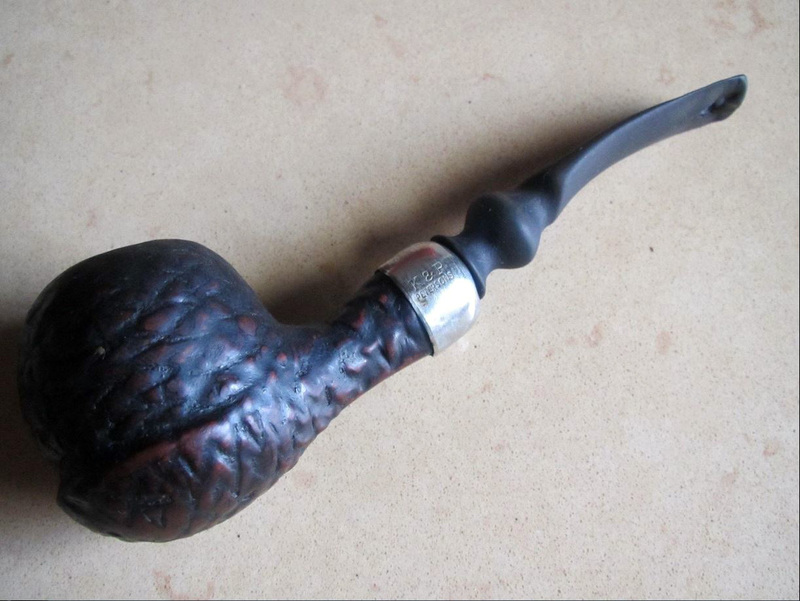 Pipe tobacco and briar, as well as many of the adornments which are used in pipe-making, are organic. They grow or are produced by the earth. 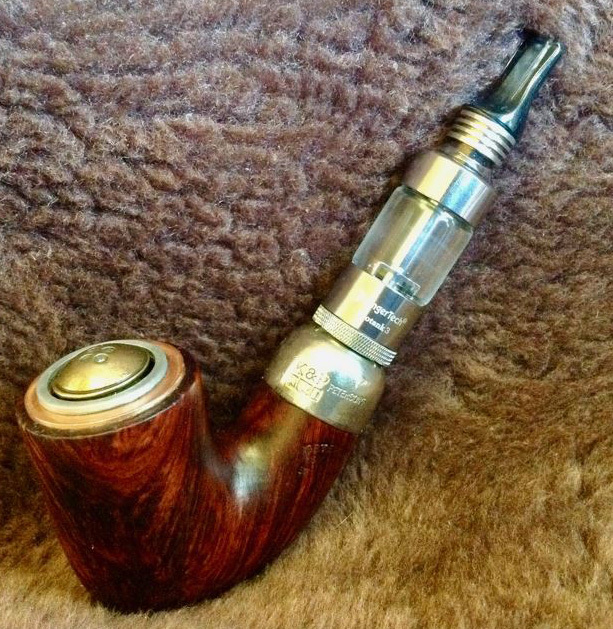 With the combustion of tobacco in the bowl, a third something, the smoke, produces a syzygy in which the pipeman is a participant. Perichoresis is the theological term here, from the early Church Fathers: it’s a divine dance of tobacco, pipe, smoke and piper. 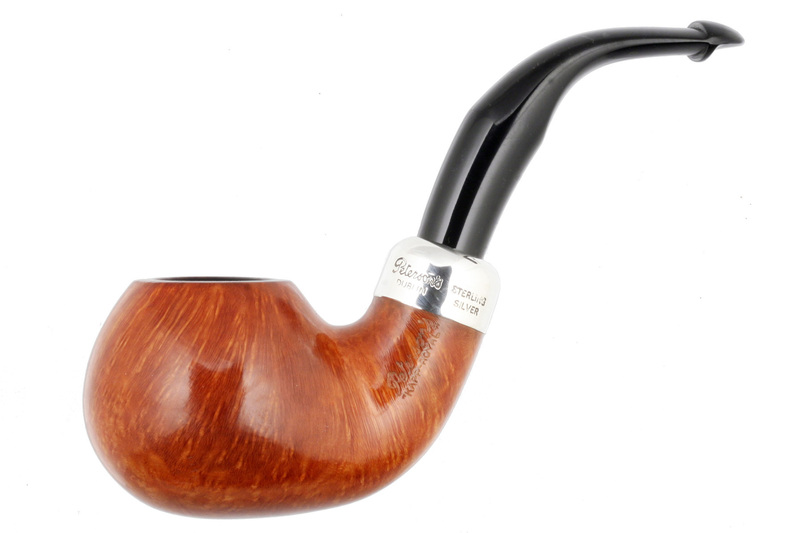 With these three sacramentals missing, the e-pipe becomes a parody, a sham or anti-symbol. Bent, as my old friend Ron would say. And that’s about as frightening as it gets. I always enjoy your articles! Thanks as always for your support, Tom! Fascinating. A house of horrors indeed. Love the text with its wry humour. I’m wondering how on earth some of these items could have been sanctioned in the first place. A good article for flagging up beasts passing as beauties…many thanks, Mark. EBay has some seriously deranged s*it on it, doesn’t it? Good morning, smoking a Deluxe 9s with a taper stem while reading this. 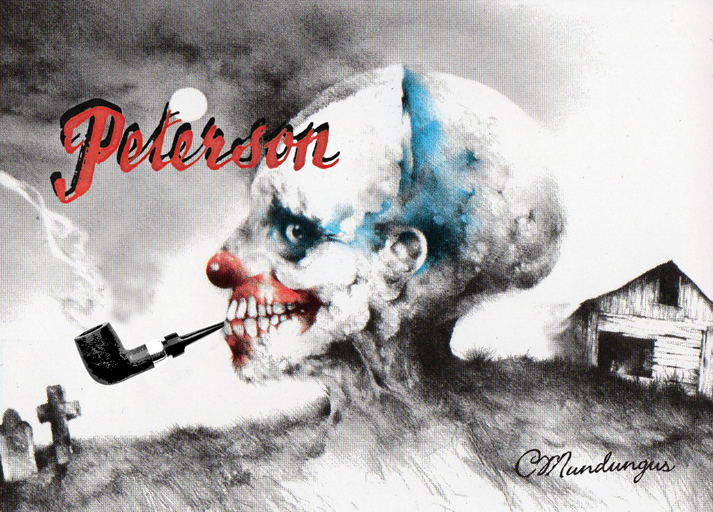 I like Peterson reading to my morning coffee – thank you. Even the madam liked it ! 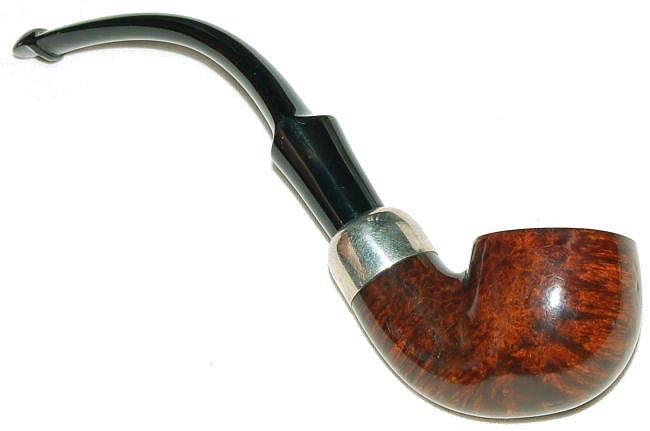 Jorgen, it’s good to hear I’m not the only one with a “pipe wife.” They are treasures. Good Morning, Mark… and Happy Hallowe’en if you celebrate such things. I think that your ‘trilogy of terrors’, or ‘trilogy of travesties’ might also well describe them, may be the dastardly work of someone trading as Mycroft Milverton here in foggy England. I cannot be sure, since there may well be an international conspiracy of such crazed individuals. 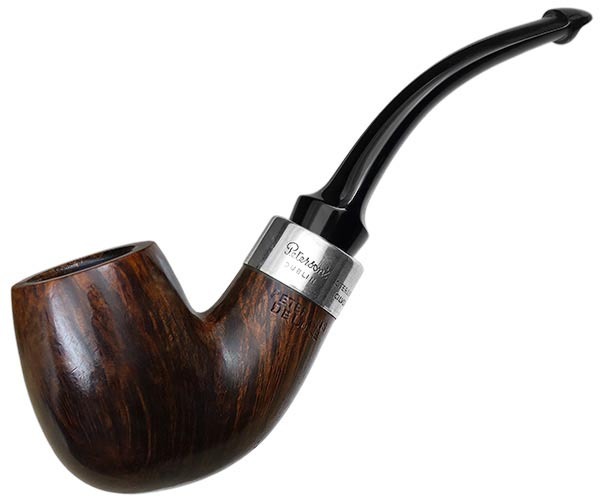 There are, however, a number of ‘pipes’ if such they may be called, for sale in the UK. See mycroftmilverton.co.uk (if you are feeling brave). Richard, I am heading over to that site even now. I have a rope of garlic hanging from my 309 just in case. And a crucifix. Wonderful article for today’s celebration of Halloween. Some definite abortions there and most pretty obvious. 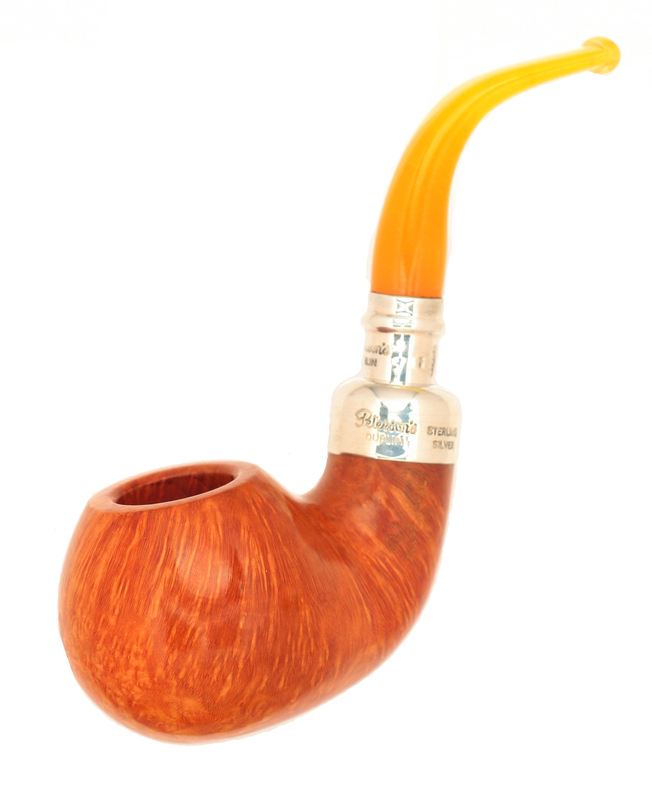 LOL It’s always fun to pick out the altered pipes on the Bay as you have shown. Thanks so much for an interesting and informative “pipe note”. Thanks Andy. Hope you’ll be in Chicago for the launch? Great Article! However, I WANT one of the The Aminadab. I like the fullness of the AB stem (and non-saddle) Deluxe stems , and would like such on many of the Deluxe and Kapp Royal shapes, even if not a system…. Well, you may get your wish, sir. 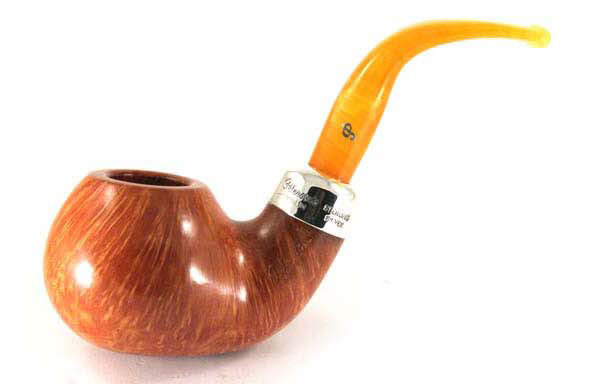 I hear Laudisi wants to expand the Sherlock Holmes range at some point, and one way would be to issue a System Range of appropriate shapes, like this one. Great fun here, Mark! You’ve found some truly awesome examples of man’s oft-misplaced ingenuity! I’m afraid I’m one of the guilty parties. Glad you liked it!